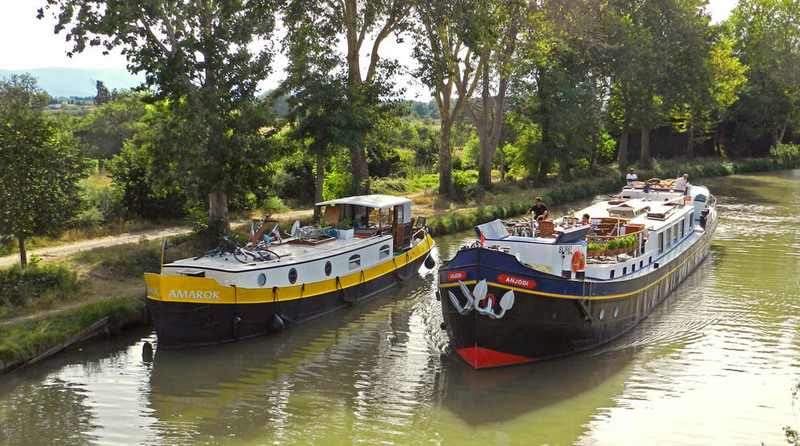 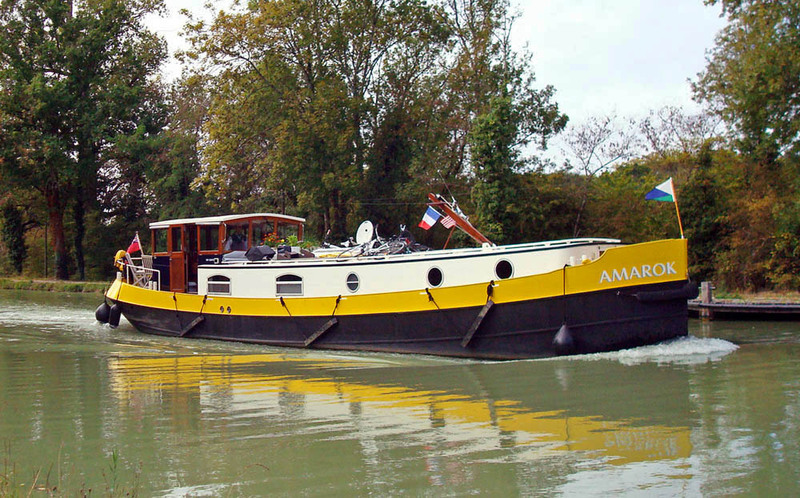 Amarok and Anjodi on the Canal du Midi near Puchéric. 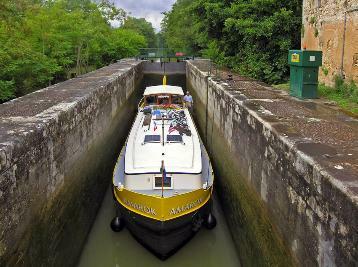 A snug fit in one of the locks on the river Baïse. 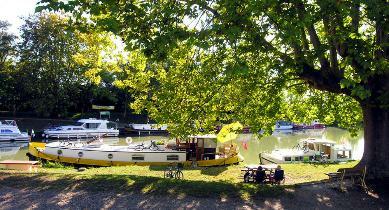 Under the big tree in Serignac on the Canal de Garonne. 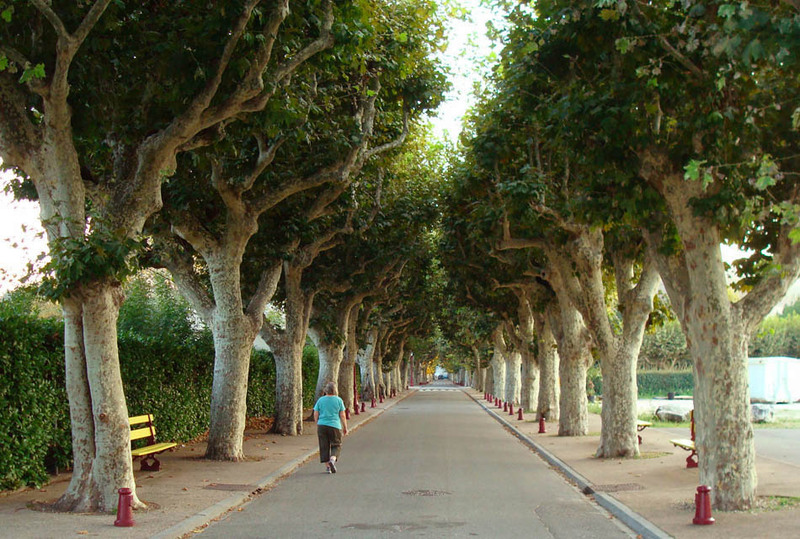 A beautiful allée leading from the port into the town of Viviers. 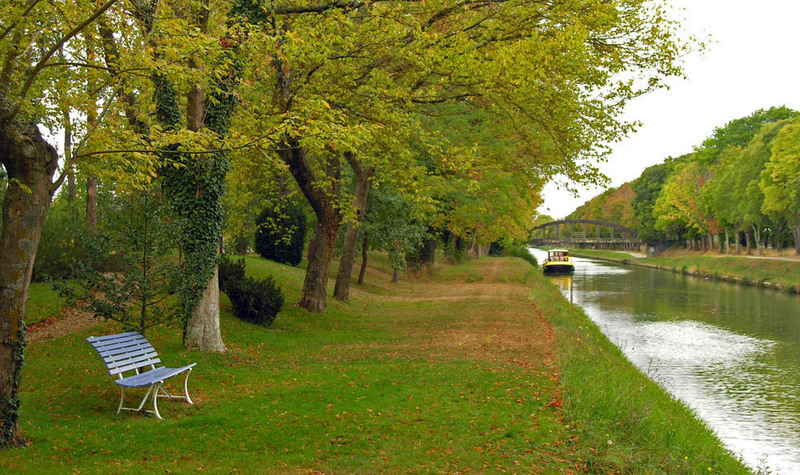 Foggy morning in Serignac on the Canal de Garonne. The wide-open Rhône above the Châteauneuf Lock - over a mile wide here. 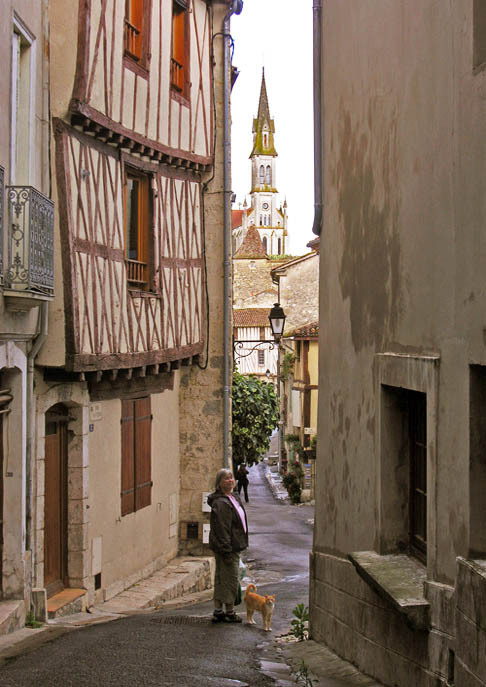 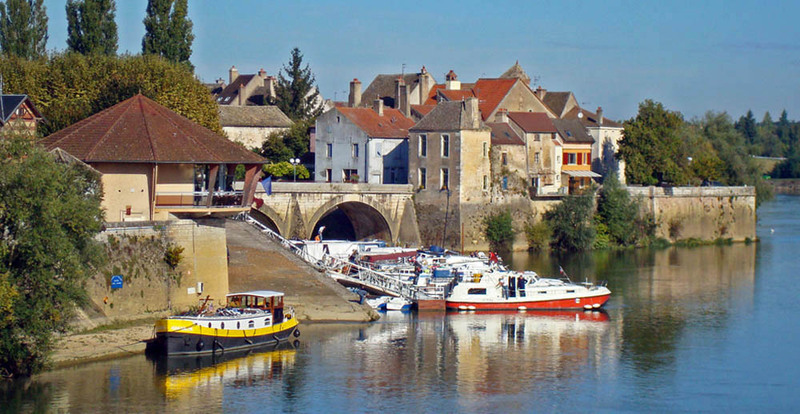 The scenic town of Verdun-sur-Doubs. 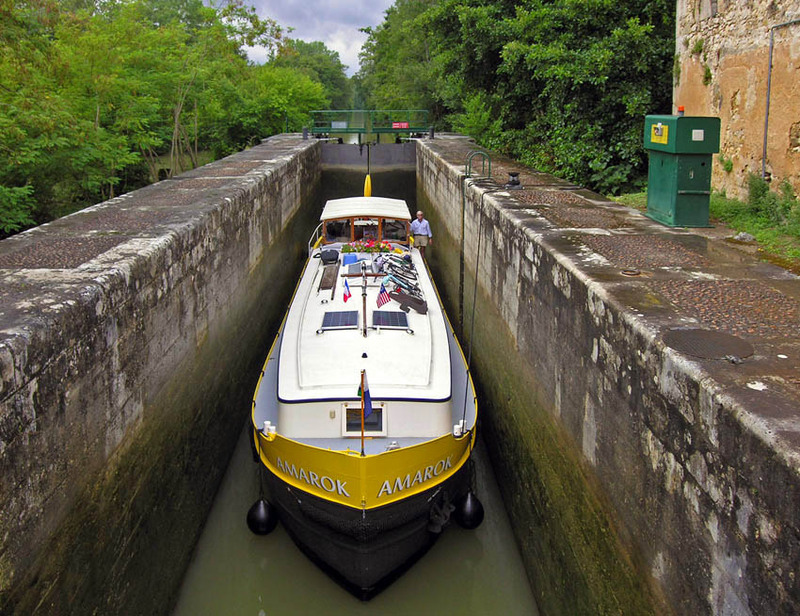 The Amarok at speed in the Canal de Montech. 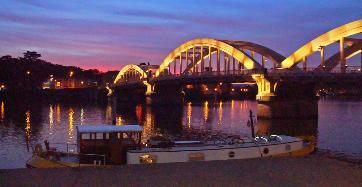 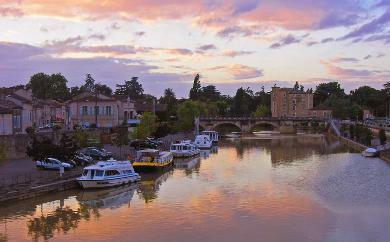 A pretty bridge at dusk in Neuville-sur-Saône. 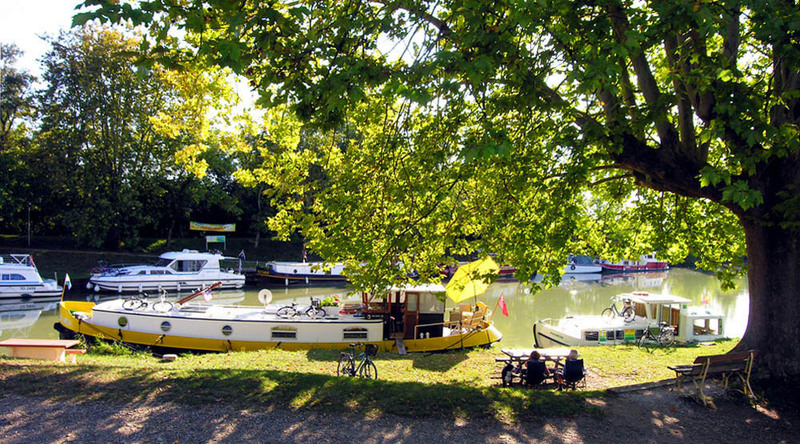 Condom on the Baïse. Our yellow boat appears to glow this time of day. Fall foilage in the town of Saint-Porquier on the Canal de Garonne. 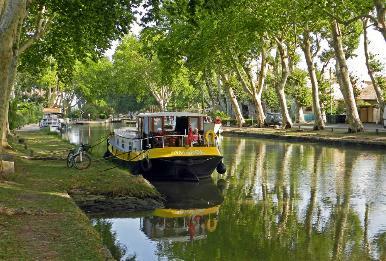 Shady tie-up in Sallèles-d'Aude on the Canal de Jonction. 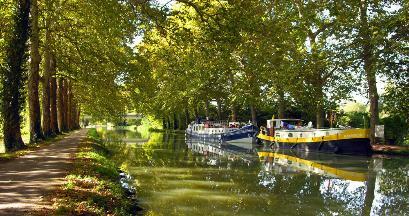 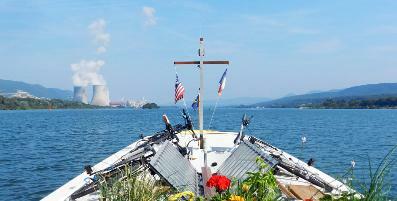 On the Canal de Garonne in Pommevic - next to hotel barge Saint Louis. 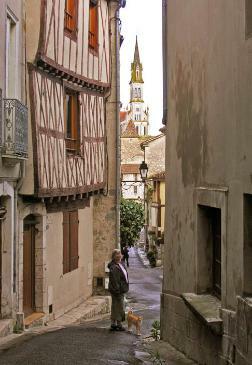 In Nérac - Nancy making friends with a cat. 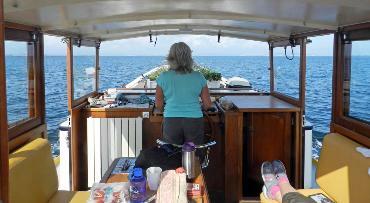 Open-water horizon on the Etang de Thau. suitable for printing up to 11" x 14".